As we pointed out recently, everyone seems to be trying to come up with an Upworthy or BuzzFeed-style portal that does “viral” content, and that includes media outlets like the Washington Post, with its Know More project. 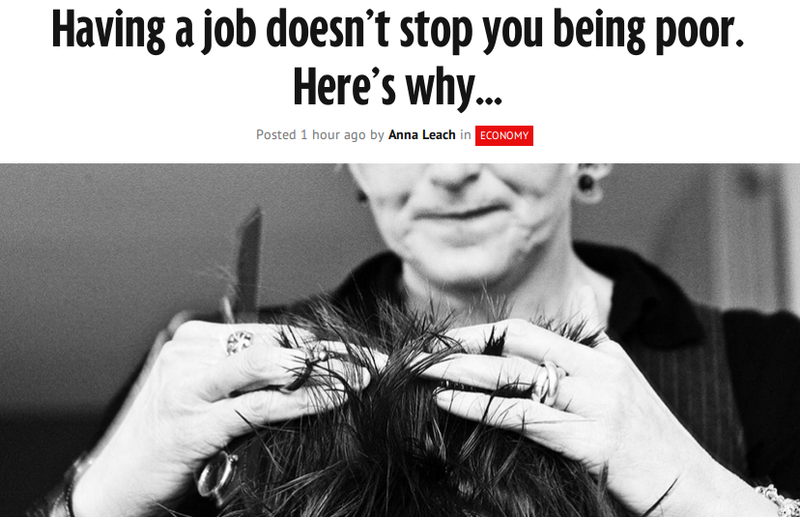 One of the more recent experiments comes from Trinity Mirror PLC in Britain, and launched on Monday — it’s called Ampp3d, and its focus is on trying to blend viral or socially-shareable content and data-driven journalism. 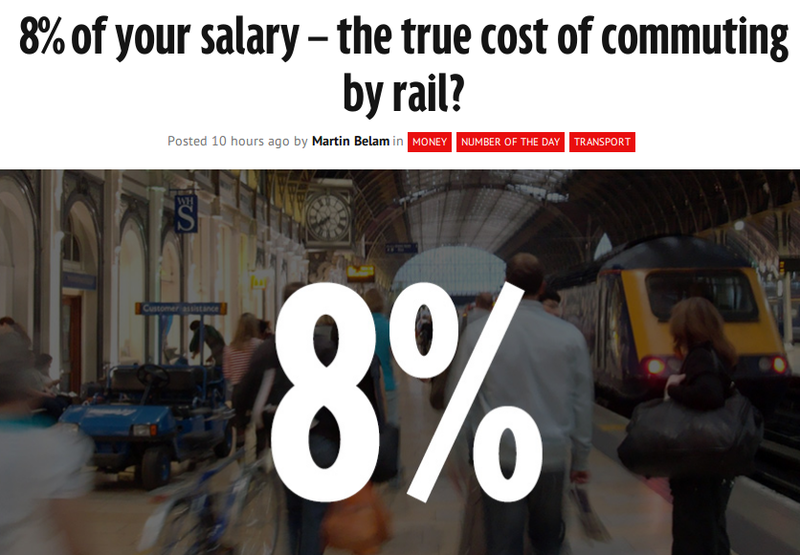 Ampp3d is actually the second such project from Trinity Mirror: the first — which, like Ampp3d, was created by former Guardian journalist and designer Martin Belam — was UsVsThem, which was launched in May and is a similar kind of site, but focused more on pure entertainment rather than serious journalism. In an interview on Monday, I talked with Belam about the rationale behind Ampp3d and what he has learned from the success of UsVsThem. One of the most impressive aspects of Ampp3d — as a project that was built inside a major mainstream media company — is how quickly it went from concept to reality: Belam said it was less than three months from the pitch to the CEO to Monday’s launch. “We did a pitch document to the CEO with four potential sites and services, and from him saying ‘do that one’ to finding the team, doing the design and launching was eight weeks,” Belam said. The idea behind Ampp3d is to use social-sharing methods — snappy headlines, emotional content etc. — in the service of data journalism, Belam said. 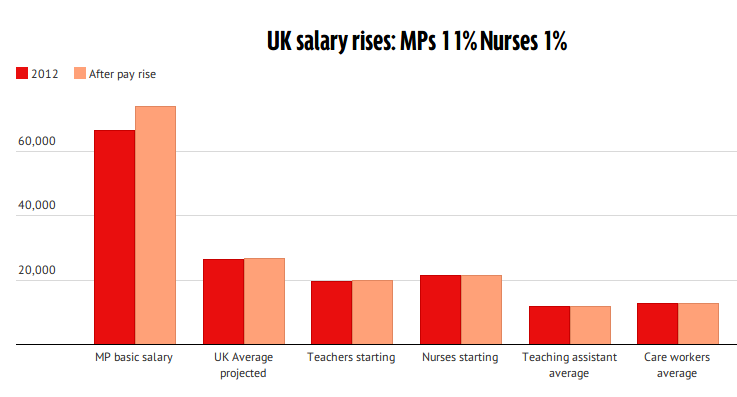 So where the Mirror recently did a feature on new pay raises for British MPs, with a big splash on the front page and multiple posts inside, Ampp3d came up with a single chart that shows the increase in a typical MP’s pay compared to that of a nurse, a teacher and other average British citizens. Belam said that one of the lessons he learned from launching UsVsThem is that people like to share things that are fun or interesting, but that also have a point of view related to issues that they care about such as politics. So some of the most popular content on UsVsThem has been games or interactive widgets with a kind of satirical political edge to them. Like UsVsThem, Belam said the new site is an experiment with a fixed life-span: the idea is to try a service for three months and see whether it strikes a nerve with enough readers to make it worthwhile to continue. “If we can build an audience then great, we’ll keep on doing it, if we haven’t then that will tell us there isn’t the market for what we’re trying to do,” he said. Belam said that some of what he is doing at Trinity Mirror is informed by lessons learned with projects like the “social reader” or “frictionless sharing” app that he helped develop while he was at the Guardian — an app that relied on Facebook for the distribution of content. While the app itself failed in the end for a variety of reasons, Belam said it taught him that the market for an article is sometimes much larger than editors assume it to be, if it is promoted properly. Belam said his original target was that the site should be able to get about 10 percent of the existing traffic to BuzzFeed’s UK site, which is about 10 million unique visitors a month — but after a little more than six months, it has about 70 percent of that number, or about 7 million. This is “a bigger audience than I could ever have imagined getting,” Belam said. Belam said that the way he thinks about sites like Ampp3d and UsVsThem is that they’re not really any different from the other forms of content that newspapers often include because they are interesting to or useful for readers, such as horse-racing scores and TV listings. And in turn, those things help to subsidize the “serious” content (whether they do so by perpetuating a harmful pageview-driven business model is a separate question). The other thing that Ampp3d reminds me of is how some aggregators such as Business Insider and the Huffington Post take a single chart or a single paragraph from a much longer news story and use that as the basis for a popular post — in much the same way that Forbes blogger Kashmir Hill did with a long story in the New York Times last year. Why shouldn’t a media outlet do that with its own content instead of waiting for someone else to do it?